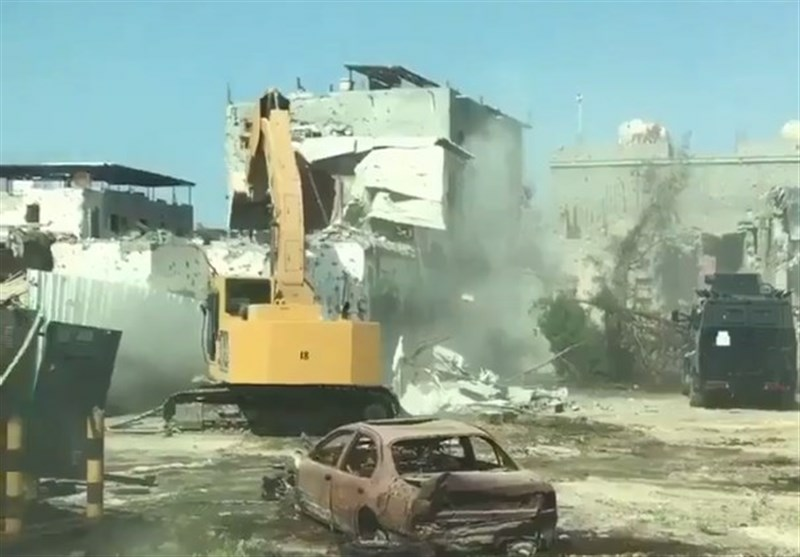 Hundreds of residents in Saudi Arabia’s eastern city of al-Awamiyah have been forced from their homes with the regime’s bulldozers razing to the ground the Shiite-populated city and security forces killing more people in harsh attacks. The Middle East Eye news website quoted activists as saying that Awamiya residents have been driven out of their homes and their properties seized by private development companies, primarily in and around the historic al-Mosara district. It also depicted an image sent by a local activist showing a requisition order pinned to a house in the district of al-Shweikah, about 6km south of al-Mosara. The Saudi government has been forcibly relocating residents of the restive city as clashes continue in the old city. Local activists have also reported that the security forces are driving residents out of Awamiya by firing randomly towards homes and cars. They said several houses and shops have been burned or damaged by the fighting. Local sources reported on Thursday that the number of people killed by the Saudi regime forces in Awamiyah has risen to 25 since May 10. Awamiya has long been a flashpoint for protests by Saudi Arabia’s Shiite minority. The influential cleric Nimr al-Nimr, who was executed by the Riyadh regime in 2016, came from this town.